A common tactic in today’s gaming market is to feed upon the nostalgic reserves of a playerbase, promising a throwback to the “good ol’ days”. Even when games do hearken back to those simpler times, rarely do they deliver on it in a genuine fashion. Evoland Legendary Edition, comprised of two games, is a compilation of snapshots throughout the history of gaming, built from the ground up to be enjoyed by not only those longing for those days of yore, but also newcomers and historically-intrigued consumers alike. 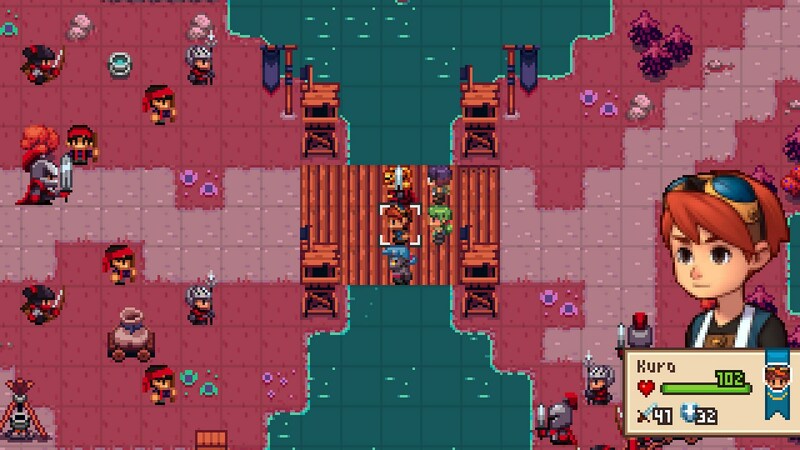 This unique trait alone is enough to garner the attention of almost any passerby, but the real question is whether Evoland is actually successful at what is sets out to do, all while hinging almost completely on the design and concepts of games from a bygone era. Let’s discuss, shall we? As alluded to earlier, both Evoland titles are best described as a collection of game design concepts spanning multiple decades, stitched together to be consumed through the framework of a single game. 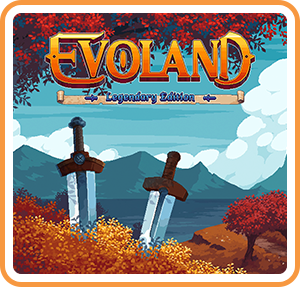 While Evoland 1 closely follows the history of the adventure and RPG genres – starting from the 80s up to around the PS1 era – Evoland 2 takes it a step further by applying additional genres, such as the fighter and arcade scrolling shooter. You will start both of these games under the guise of an original Gameboy game, and will only be able to move in a single direction for a time. Quickly, though, you will begin to unlock things such as multi-directional movement, sound, and the ability to interact with the environment. Back to the basics, in the truest sense! Over time, you will continue to add to the world in the form of additional actions and, sometimes, completely new graphical overhauls. Both games will bring you through the minimalistic Gameboy-esque color palette and design limitations, all the way to more “modern” (albeit cartoony) three-dimensional graphics. Don’t get too comfortable with those fancy aesthetics just yet though, because both Evoland games will frequently revert back to the designs (and limitations) of the past, often as part of the story process. The constant changing of graphical styles and its accompanying gameplay limitations, whatever they may be, make it so that no one graphical or gameplay style gets stale. Naturally, both games play differently depending on where you are at in the story, but for the most part play similar to old-school Zelda games – from the dungeon delving and puzzle solving, to downright hack-and-slashing the opposition. Of course, these methods aren’t locked in for the entirety of the experience, as you’ll also take part in traditional ATB / turn-based battles akin to Final Fantasy, jump your way through 2D platforming sections, and even experience a throwback to a Diablo-like gameplay loop. That said, if I had only a single label to define these games, I’d classify them as action-adventure games first and foremost. Evoland 2, however, does feel like more of a traditional RPG than the first game despite featuring those aforementioned scrolling shooter and fighter sections. Honestly, Evoland 1 is more of a wayback machine for the adventure / RPG scene rather than being an actual game, and I only say that because it is very rudimentary in actual gameplay mechanics despite evolving over the course of the game. Although it is very easy and incredibly short (I clocked in 3 hours at 85% completion), Evoland 1 is still an incredibly unique game that allows you to experience a large spectrum of adventure / RPG gaming history within the confines of a single game, and should be commended for such a feat. 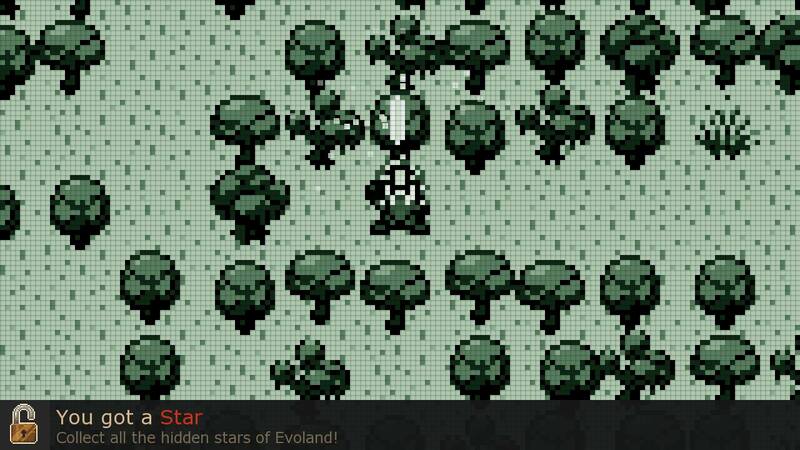 Evoland 2, on the other hand, is more along the lines of a traditional, medium-length title. While the same concept of going back and forth between game types still applies, it is a more focused experience overall. If anything, Evoland 1 serves as an introduction of what to expect in the second title, giving the latter the ability to skip more of the trivial things covered in the first game in favor of heartier gameplay. Regardless, both games are worthy of experiencing for their uniqueness factor alone. 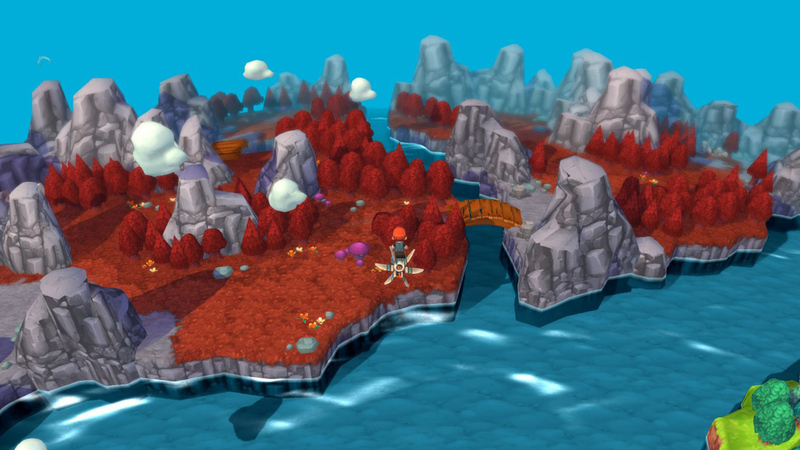 Because going to and from different aspects of gaming is the name of the tune in the Evoland series, it is only natural to expect their plots to feature some sort of time-travel component. Both games have their own story, but Evoland 1’s is very light at best, coming secondary to gameplay while Evoland 2 is more along the lines of a standard storytelling affair. References to classic games are sprinkled throughout both titles, and are sure to give you a chuckle here and there. Evoland 2 has you following an amnesiac hero that happens upon an ancient device that sends himself and a new-found companion back in time, which ultimately puts in motion events beyond what any normal / sane person would think to be possible. As you progress, you find that people recognize you as the world destroyer, but you have no idea why. By traveling over the span of a century, you find out that some truly tragic events have indeed taken place, but can the hero of our tale really be responsible for it all, and what repercussions will time traveling have on the world as we know it? While it may seem like a fairly basic time traveling plot, Evoland 2 supports it with well-established, relatable characters. Time traveling can often become overly convoluted and, potentially, detrimental to the package as a whole, so playing it a little safe makes it easier to understand and more enjoyable in the long run, at least to me. My biggest issue with Evoland Legendary Edition lies with its performance – specifically, in Evoland 2. Although both games run at a consistent 60FPS most of the time, there are numerous moments in the future era (ie. 3d world) of Evoland 2 where stuttering and framerate drops become commonplace, thus making moments of combat and platforming feel a bit sluggish. 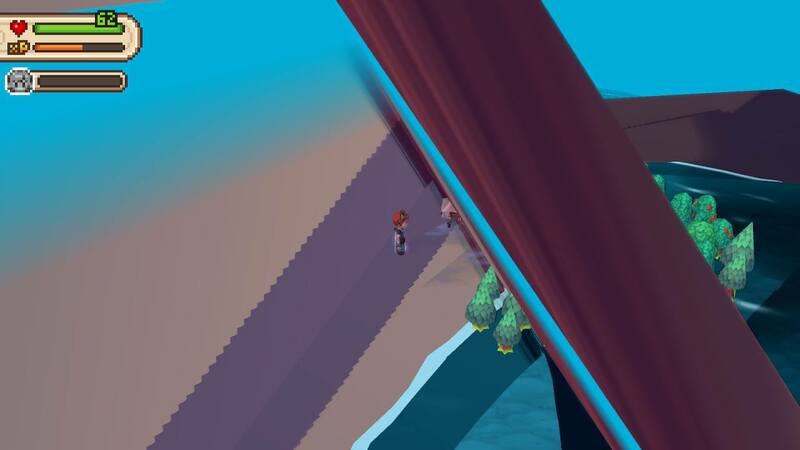 Also, in the future world, it was quite common to pop out onto the world map and be in a glitched version of the game, forcing you to return to whence you came to try again. Unfortunately, this happened about 50% of the time – far too frequently to not be an annoyance (or at least concerning). Additionally, there were a couple of times during the ATB combat sequences where the menus would not accept any commands – requiring you to force-quit the game and lose whatever progress you might have made since your last save. Based on the reviews of Evoland 2 on other platforms, I can only imagine that these issues pertain exclusively to the Switch version, but I cannot say for sure. Either way, these bugs feel like something that could be ironed out in a post-launch patch at some point. Evoland Legendary Edition successfully throws back to many scenarios along the adventure / RPG timeline, and is something that I think everyone should experience. Not only do they provide an interesting avenue to seamlessly experience all sorts of design mechanics throughout the history of gaming, they are genuinely fun games to boot. I do hope, though, that the multiple issues present in Evoland 2 specifically are fixed in the future. Regardless, Evoland Legendary Edition is a great way to spend $20USD, especially if you are looking for something more unique to experience. Looking forward to this one. I’ve played the first one, but never got around to the second. Given the old gaming looks and styles it apes, it seems like it will be more at home on traditional gaming machines versus PC or mobile. Yes! It feels right at home on the Switch, and if you liked what you played of the first game, you should really enjoy the second one. It functions the same at its core as the first game but is much more fleshed out from a traditional RPG standpoint. I do hope that they fix the few issues I had, though. Looking back on my steam copies, I enjoyed them enough to nab every achievement! I was wondering if there was anything new added to the new version? While I’m not a total completionist myself, nor did I play the previous versions of the game, I don’t believe there are any additional features in this version beyond having the two bundled together for consoles. I could be wrong though. Might be worth checking some other people’s takes on it to get a better idea.